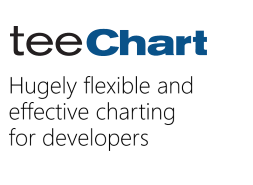 I've recently purchased teechart php and I have a many questions. I need to produce a custom graph which involves drawing text on the screen then circumscribing it with either an rectangle or an ellipse. The annotation tool is a near perfect fit for the rectangle side of that. I have two questions concerning shadows. 1) The annotation tool seems to add a shadow to annotations by default, can this be turned on/off by annotation ? 2) I would like to have the option to add shadows to ellipses and rectangles and any shaps I draw , can this be done ? ISVA7655 wrote: 1) The annotation tool seems to add a shadow to annotations by default, can this be turned on/off by annotation ? ISVA7655 wrote: 2) I would like to have the option to add shadows to ellipses and rectangles and any shaps I draw , can this be done ? However, these custom drawing methods don't support shadows, so I'm afraid you should create your own classes to support it. Something like the annotation tool does, that has a Shadow property. I'll add to the wish list the possibility to add more shape styles for the annotation tool (TF90015724).